The Wild West was a rough and ready time. Some of the richest untapped mines of silver were opened up to anyone who was bold enough to dig them. 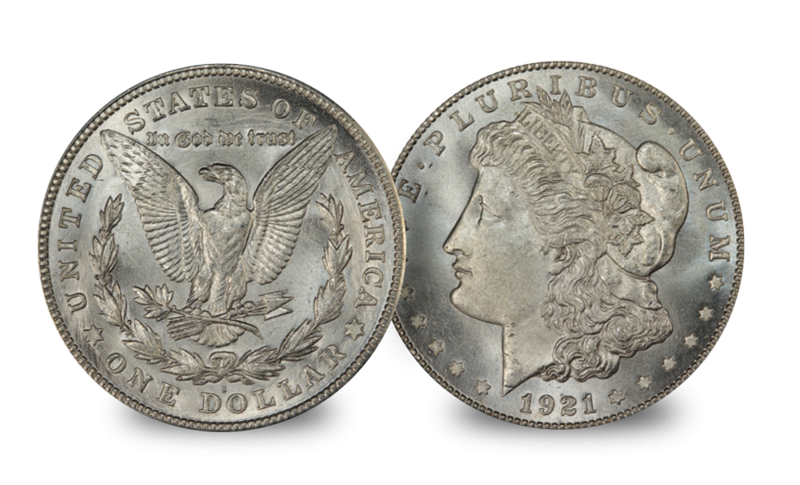 The silver was, from 1878 until 1921, minted into ‘Morgan’ type silver dollars. These are the coins on which the Wild West was built, and now you may own one of the 1921 issues –the very last year these silver coins were minted. The US Morgan Dollar is considered by many as the "true" coin of the Wild West as it is minted out of nearly one full ounce of .900 fine silver. It was first struck at the Philadelphia Mint, one of the oldest and most historic mints in the US, in 1878 and continued until 1904 and then again for one final year in 1921. These Wild West Morgan dollars were struck in 90% silver, and every one of these original coins were minted in 1921 - the last year that they were ever produced. By rights they should have been destroyed decades ago when the US Government officially melted all of their silver coinage. However limited numbers have survived, and are available now.